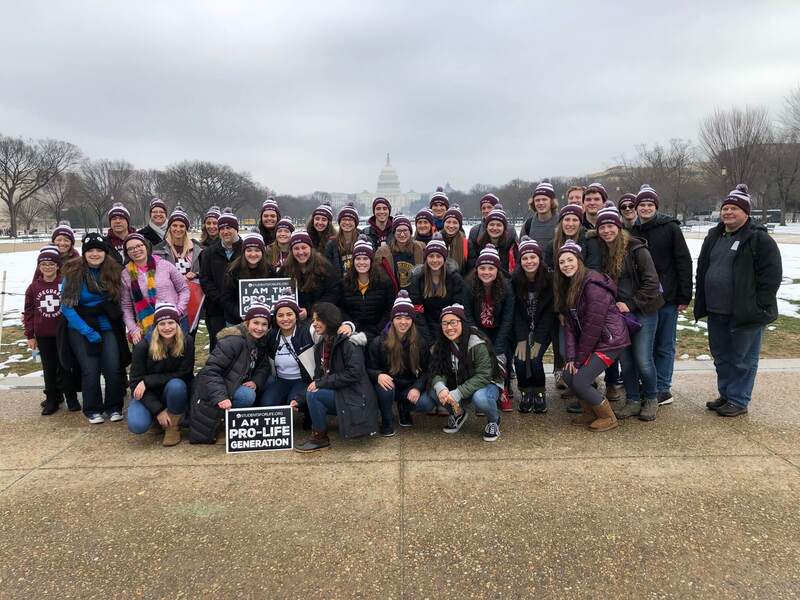 VLHS students March for Life in Washington D.C.
You don’t need to be an adult to make a difference. You just need passion and a will to act. Valley Lutheran students and staff know this, and they put that into practice Jan. 16-19, while attending the annual March for Life in Washington, D.C. to celebrate life and promote the protection of unborn children. Conservative news estimates place the number of people who attended the March in the hundreds of thousands. Thirty students from Valley and 10 chaperones and alumni made the trip this year — joined on the bus by 15 friends from Lutheran High Westland — for the fourth sponsored trip by the school. “It’s very encouraging to our students to witness how many young people actually support life and to be able to speak out against the greatest atrocity of our day,” said Valley French teacher Cris Urbytes, who organized the trip. The bus left Valley on Wednesday and picked up the Westland contingent later that evening before making the all-night drive to Washington D.C. Upon their arrival, the group quickly checked into their hotel before heading to the Holocaust Museum. During the afternoon, the group attended the Youth Rally where they learned from prominent pro-life speakers, including Lila Rose, founder of Live Action. A tour of several memorials and monuments, along with commentary on our Christian heritage, closed out the day. In addition to their traditional meeting with Michigan Congressman John Moolenaar’s Chief of Staff, the group had the opportunity to take a guided tour of the U.S. Capitol Friday morning before the Rally and March. In a bit of a surprise, Vice President Mike Pence and Mrs. Pence made an impromptu visit to support those in attendance. A highlight for the students and chaperones was connecting with a large Lutheran delegation along the route and marching alongside LCMS President Matthew Harrison. At the conclusion of the March, they took some time to listen to women who are now pro-life share their post-abortion stories on the steps of the Supreme Court. After dinner at Union Station, the crew headed for home.